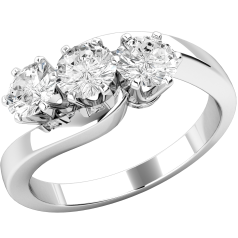 Three Stone Diamond Rings are a popular choice for engagement rings, but they are also frequently gifted for other milestone occasions in a couple’s life, like an anniversary. 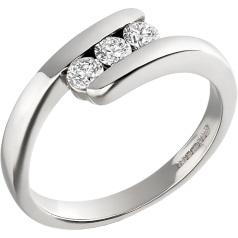 A Three Stone Ring is the best-fitting gift for the third anniversary. 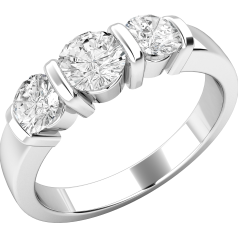 Three Stone Rings are also quite often given by a father to the mother after bringing a child into the world with a stone for each member of the family; however, the three stones can also represent three children. 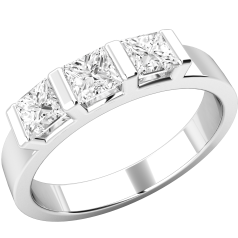 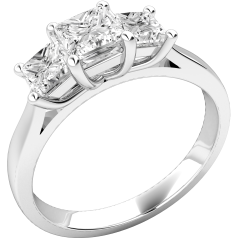 With a Three Stone Ring you can choose a combination of the different diamond cuts and sizes, without having to settle for only one. 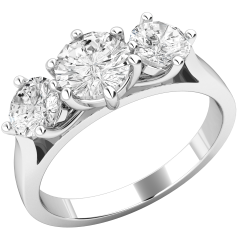 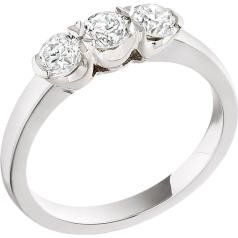 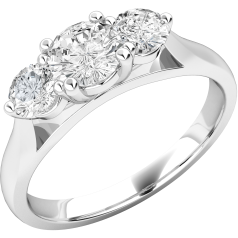 Traditionally Three Stone Rings have a bigger central stone with two smaller stones on the sides, but today Three Stone Rings with diamonds of the same size are also a popular choice. 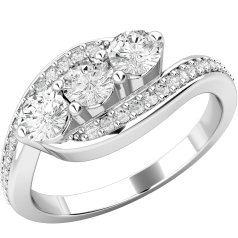 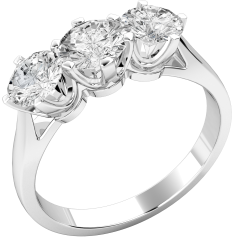 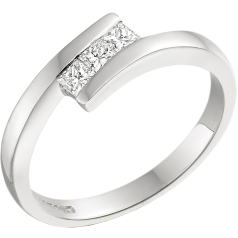 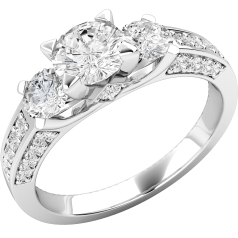 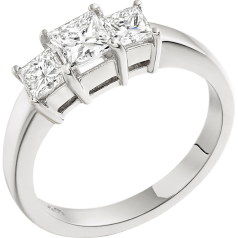 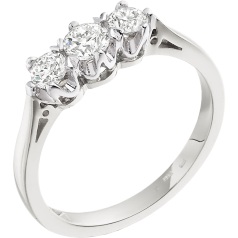 With a three stone ring you can triple the sparkle!